The second largest city in southern Italy and the capital of Apulia, Bari's importance stems from its harbor, which primarily serves trade with the eastern Mediterranean. 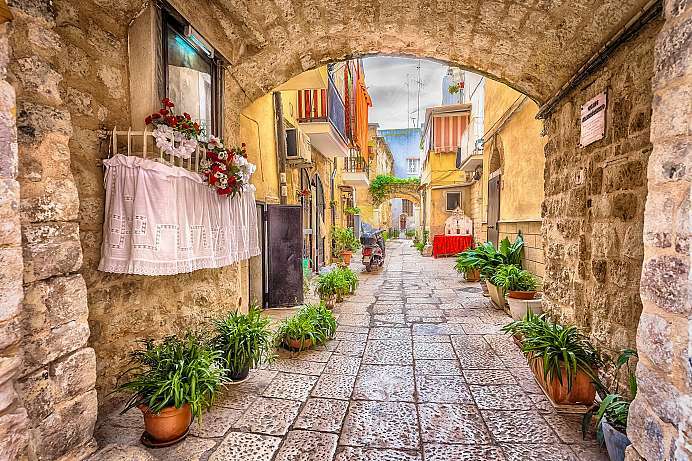 The city became famous in 1087 when local sailors brought home the remains of Saint Nicholas seized in Asia Minor. A magnificent cathedral was built to house the relics: the Basilica di San Nicola. 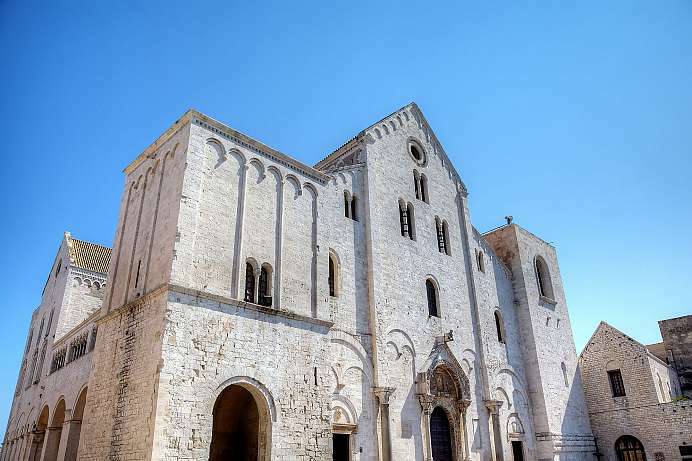 The church with its splendid Greek orthodox crypt is considered the archetype of Apulian romanticism. The 1,000-year-old port district with its narrow streets, quaint squares and winding stairways remains a vibrant center of night life.